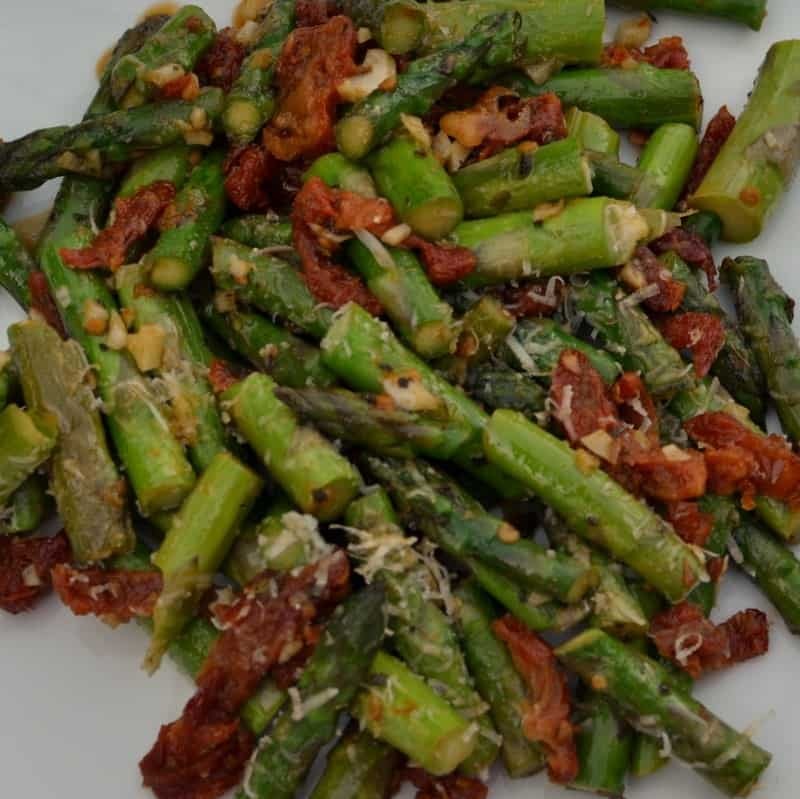 Asparagus is a very good source of fiber, folate, vitamins A, C, E and K, as well as chromium. Chromium is a trace mineral that enhances the ability of insulin to transport glucose from the bloodstream into cells. At my age I can use all the help I can get!!! Whether you make your own or buy them at the store, sun-dried tomatoes are packed with nutrients that deliver health benefits. 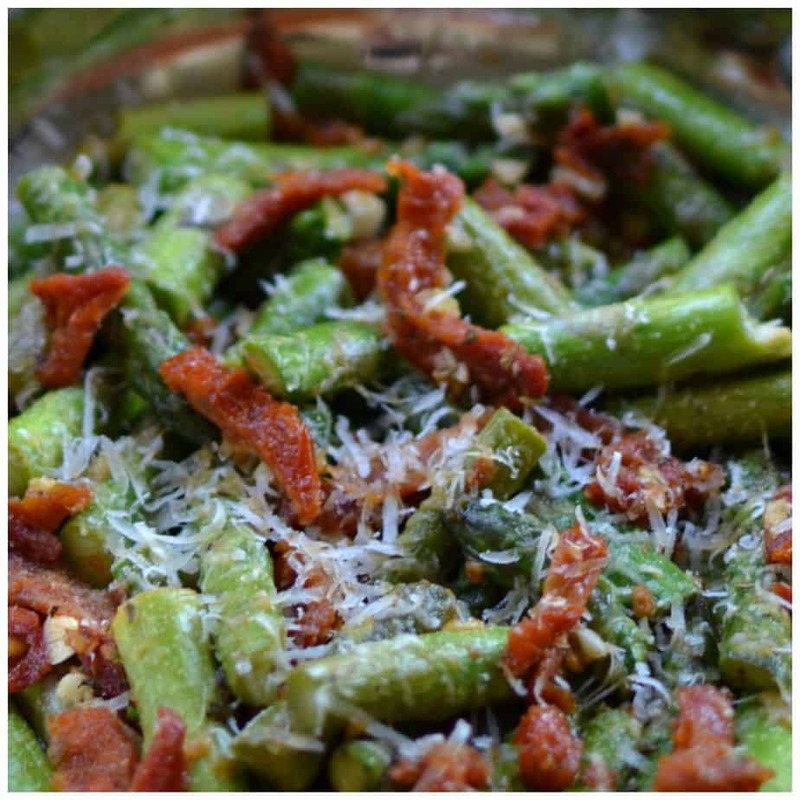 I hope you enjoy this easy delectable recipe as much as we do!! Happy cooking my food loving friends!! 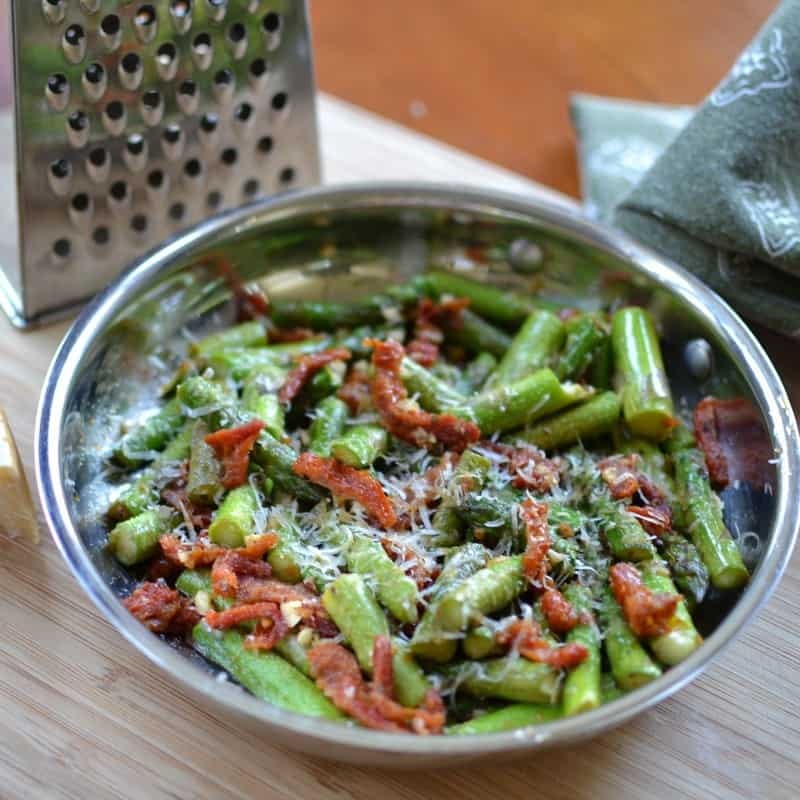 Add 1 tablespoon of the oil that is packed with the sun dried tomatoes to a skillet over medium heat. 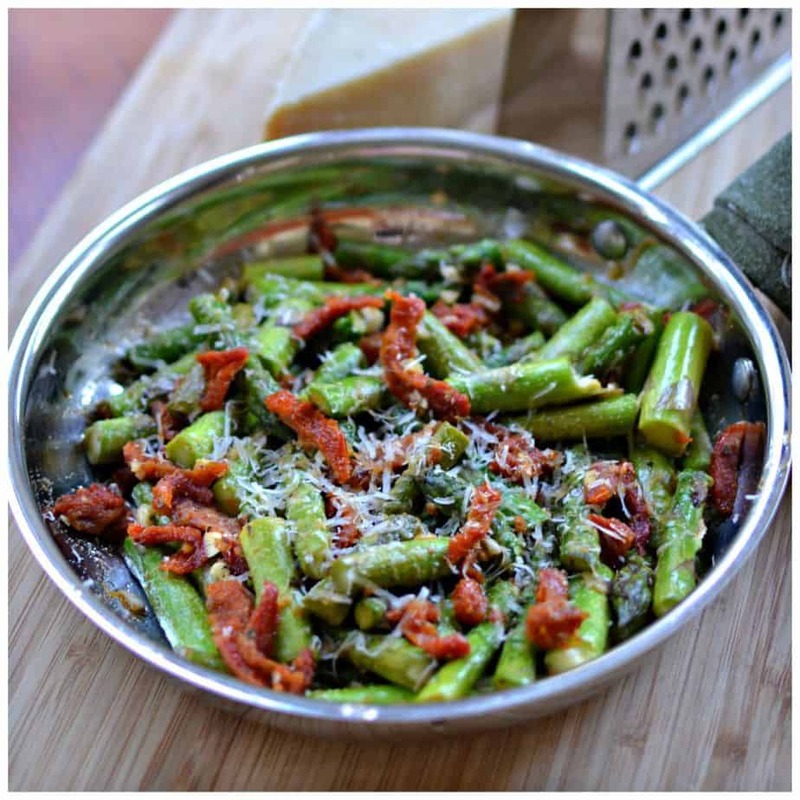 Add the asparagus and cook for 5-7 minutes stirring frequently. Add the tomatoes and cook for 2 more minutes. Add the garlic and oregano and cook for additional minute. Sprinkle with Parmesan and salt & pepper to taste. 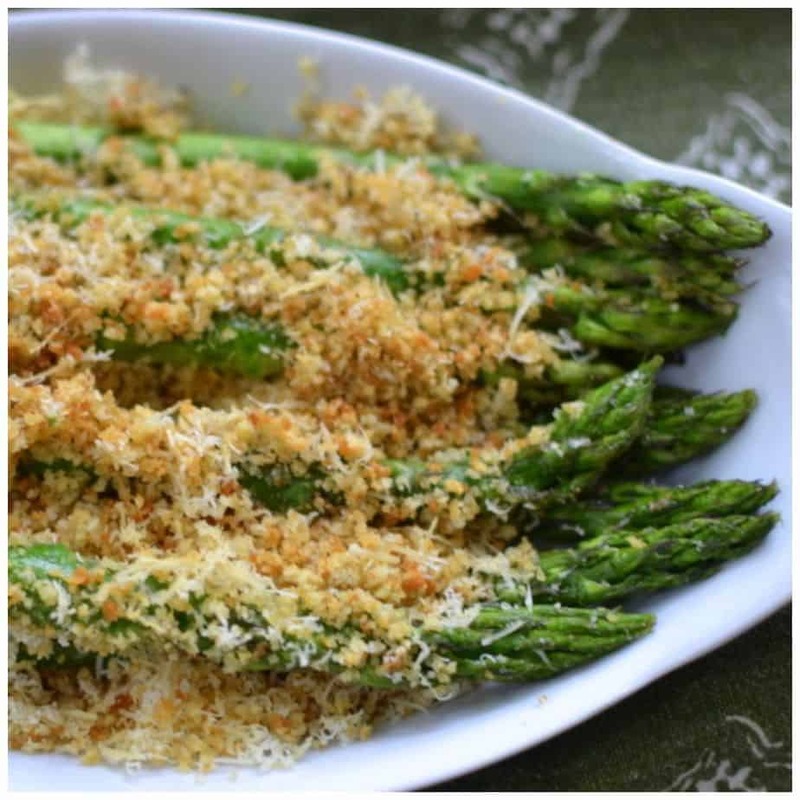 Other delicious sides you will love!! FULL OF FLAVOR!! This one’s a Keeper!! Awesome! So glad that you liked it. 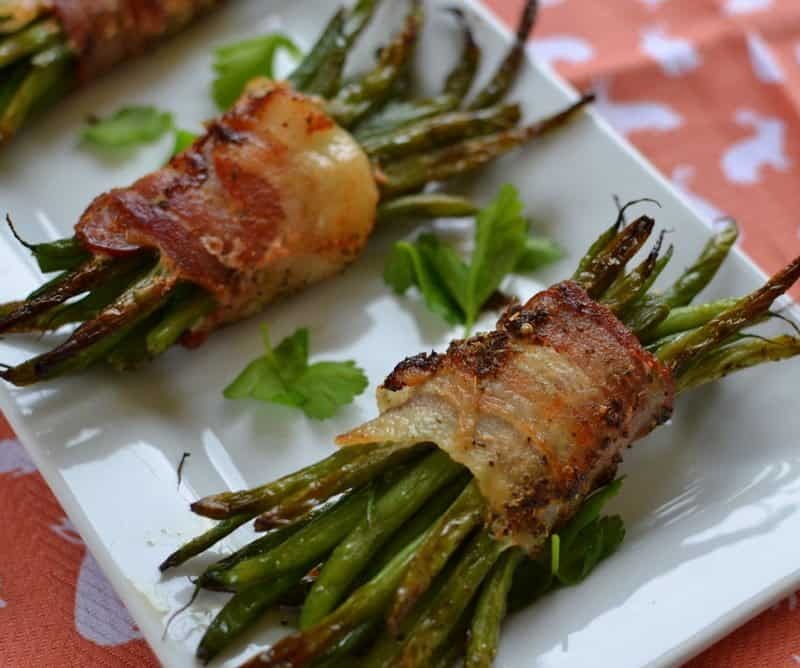 We eat a lot of asparagus around here.